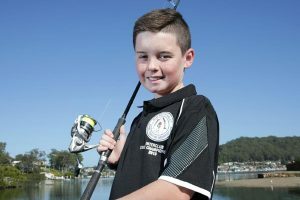 Congratulations to Oska Davis in Year 7 who was recently named the Central Coast Express Advocate’s Junior Sports Star in the Individual Category. Oska is a NSW and Australian record holder for game fishing, and has previously won the state award for the Game Fishing Association of Australia’s heaviest catch — the highest and most prestigious award for the sport in Australia. Oska also has seven club records and a 15 to one award for the capture of a mako shark weighing in excess of fifteen times the breaking strain of the line.